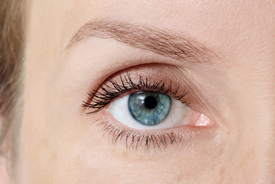 Of all the different options for enhancing vision, one of the most popular today is LASIK surgery. LASIK reshapes the cornea, and doing so reduces a person's dependence on corrective lenses such as eyeglasses and contacts. One of the great advances at our Bakersfield laser eye surgery center is wavefront custom LASIK technology. There are a lot of people who are not quite clear what wavefront technology means for LASIK procedures, so we'd like to take a moment right now to go over the basics. This should give patients a good understanding of why we are so pleased to offer this advanced technology at our practice. Wavefront technology is an advanced digital mapping system. A Bakersfield LASIK specialist uses this digital mapping technology to scan the patient's cornea. The wavefront system is very precise, able to identify minute imperfections on the corneal surface. This scan information is fed into a computer program that helps determine the precise corrections that should be made to the cornea during surgery. Myopia (Nearsightedness): This is a condition in which it is easy to see objects that are nearby while distant objects appear out of focus. Hyperopia (Farsightedness): This is a condition in which it is easy to see objects that are far away while nearby objects appear out of focus. Astigmatism: This is a general blurriness of vision cause by uneven corneal shape or lens shape. It often accompanies myopia and hyperopia. Because the LASIK laser is guided by computer based on the data from the digital map, the LASIK surgery is more precise and safer than before. There is far less chance for mistakes due to human error, which is ideal for patients who visit our Bakersfield laser vision correction center. Patients who undergo custom LASIK will have even better vision that people who undergo traditional LASIK. While it doesn't guarantee 20/20 vision or greater, custom LASIK will mean enhanced vision quality and fewer chances of complications during the healing process. Not all people are good candidates for custom LASIK surgery. Corneal thickness, stability of prescription, age, and other factors must be considered before undergoing the procedure. A member of our team will be able to tell you if LASIK is an ideal treatment option to consider. If you would like to learn more about custom LASIK surgery and why it may be the best option for you and your needs, be sure to contact our Bakersfield laser eye care center today. Our entire team of eye care specialists looks forward to your visit and helping you make the best possible decision about your vision and eye health.